Most of the numbers are not very different from the guidance the company issued back in November, but there is one big change—revenue is projected to be down about $5-9B from the company’s previous $89-93B estimate. In his letter, Cook details four reasons for the expected dip. First, the iPhone XS and XS Max launched in the Q4 2018 timeframe, while the iPhone X last year launched in the company’s first financial quarter. Second, the strong U.S. dollar made for a tough exchange rate that made overseas sales difficult. 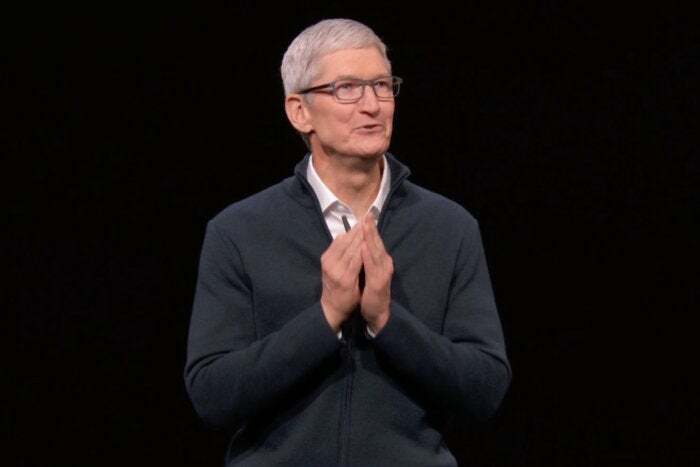 Third, there were a lot of new products launching in this quarter, and some were supply constrained (Cook mentioned the Apple Watch Series 4 and iPad Pro specifically, as well as MacBook Air and AirPods). And finally, the “economic weakness in some emerging markets” turned out to be more severe than anticipated. This may be true, but it hasn’t escaped consumers’ notice that Apple products got a lot more expensive this year. Nearly every product Apple launched in 2018 has an entry price significantly higher than the one it replaced. Analysts have speculated that this has led to lower unit sales, especially of the iPhone. Apple boosted iPhone trade-in values over the holidays, and even promoted trade-in prices on its homepage, both of which are highly unusual moves. This could have been an attempt to spur lower-than-expected upgrade numbers here in the U.S. It’s also possible that U.S.-based iPhone sales were just fine, but Apple tried to boost sales here anyway to cover a shortfall in China (which was apparently unsuccessful). We’ll never know for sure. Apple isn’t going to come out and say, “Sorry, we priced our products too high!” No matter how much value an Apple product might provide, the increasing cost of entry is a barrier to entry for many, especially in those big emerging technology markets like China and India. If Apple’s excuses are indeed true—that economic forces beyond its control led to unusually low sales—then it is going to have to develop a product line that is more resilient to these factors in the future. That means more new products at a range of prices, including brand new iPhones that start at prices lower than a whopping $749 and new Mac laptops that get back below the $1,000 barrier. Is this the lesson Apple will learn from its slipping stock? Or will the company just work harder to ramp up other aspects of its business, like services and accessories? We won’t have an idea for months yet, as Apple isn’t expected to launch any major new products until late March at the earliest.